Do you have balance and control? Do you make time for the important things? 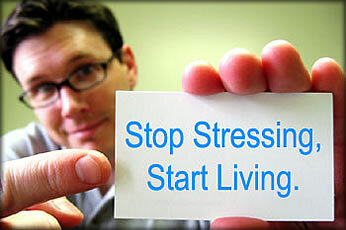 Stress management is a lifestyle… make the time to adjust now. Our 2-day Stress Management programme that includes cutting edge insights into the causes and symptoms of stress, as well as passive and active practices that manage stress. Learn more about yourself, your behavioural tendencies, your responses to people and relationships; find meaning in challenges and trials, confronting fears and “should do’s”. Delegates will learn to use their minds & thoughts powerfully, getting out of their comfort zones, practicing coping skills through breathing, meditation and relaxation techniques. Receive an insightful 1 page analysis of your scores and ratings on our ‘Stress Management Analyser’. Assess their personal symptoms and responses to stress using various self assessment tools. Analyse root causes of stress through simple root cause analysis techniques. Understand themselves through behavioral assessments and their attitudes to people and situations. Balance their six areas of life through awareness and planning. Identify and practice passive and active relaxation techniques.